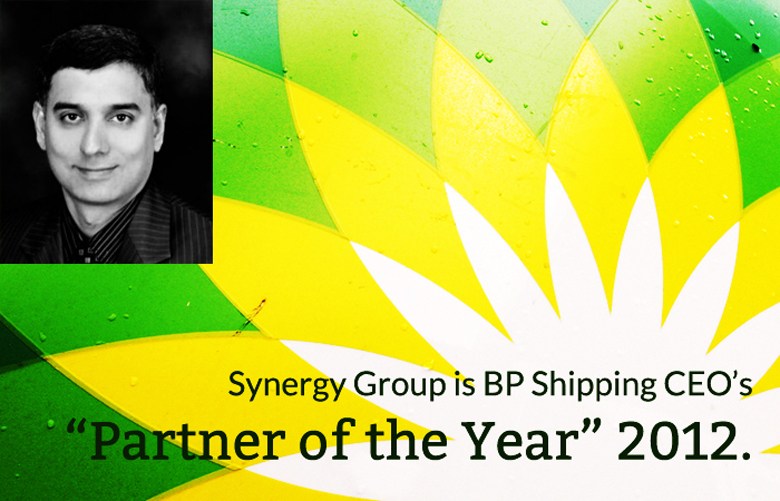 Our buddy Rajesh (Menon) Unni founded Synergy Marine Group has been awarded the BP Shipping CEO’s Partner of the Year Award 2012. The BP Shipping Health, Safety, Security and Environment (HSSE) awards have been created to acknowledge and encourage organisational and individual contributions to safety and environmental improvement. Previous winners of the coveted “Partner of the Year” Award include Maersk and Teekay, which makes us all hugely, hugely proud of our M.
The citation emphasizes the Winners of 2012 have demonstrated inspirational acts of world-class excellence and will be used as a guidance for future HSSE improvement. Presented by John Ridgway ( CEO of BP Shipping) on November 5, 2013, the awards have been created to acknowledge and encourage organisational and individual contributions to safety and environmental improvement. Rajesh Unni says, “In the shipping world BP is a very big group and some of the past winners include Maersk, Teekay etc. This is a bit sweet because it was without any financial partnership with the group. It was all because of the awesome team that we have. End of the day its all about people!” You could learn more about his awesome team here. Couldn’t be more proud of you buddy ! 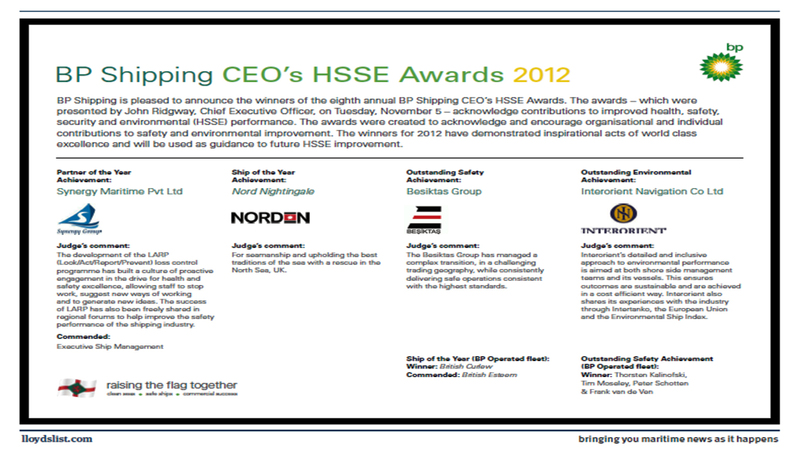 The BP Shipping HSSE Award 2012 Citation. Image Courtesy : The Synergy Marine Group.